Jeff Stein, author of controversial article claiming Israel aggressively spies on US, says 'facts are facts' in spy story. Jeff Stein, the Newsweek reporter who wrote a controversial article alleging that Israel still spies on the US, spoke about the allegations in an interview with IDF Radio Sunday. Stein began by citing a story from a former CIA operative, who insisted in the article that Israel tried to spy on former Vice President Al Gore when he was in Israel. "A US Secret Service agent was enjoying a moment of solitude in Gore's suite, using the bathroom, when he heard the sound of scraping metal," Stein stated. "He saw someone trying to remove the vent from the inside, and just saw his head emerging from the air shaft." "Because he could not do much in the position he was in at that moment, he just coughed - driving the intruder back into the air shaft," Stein stated. Yadlin stated categorically that Israel has not been spying on the United States since the Pollard affair and he added that he spoke with former Mossad chief Meir Dagan before the interview, and that Dagan corroborated this. Stein continued to defend the allegations, however. "Incidents of this kind frequently occur between the US Secret Service and Israeli intelligence agencies," he claimed, saying he heard it from "highly reliable sources." "Because the alliance between Israel and the US makes this a highly sensitive subject, because Israel has so many determine fans in Washington, incidents of this kind are handled privately and not publicly," he insisted. "Though no American official or member of Congress has blamed Israel for spying on the US, this would be political suicide," he added. Stein concluded by stating that he is not anti-Israel. In his view, his report aimed to uncover the truth - not smear the US-Israel relationship. 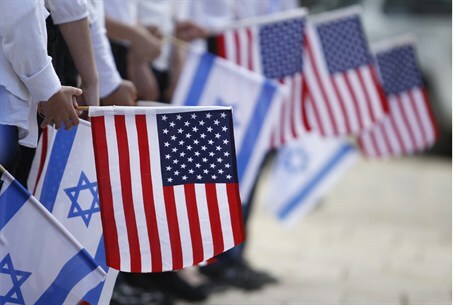 "I want to say that I, like many Americans, respect and admire Israel and consider it an American ally," he said. "But facts are facts, and the fact is that there is a problem with Israeli visa applications to the US - and as long as Israeli spying continues to be this aggressive, Israel will not be on the list of countries whose citizens may enter the US without a visa."